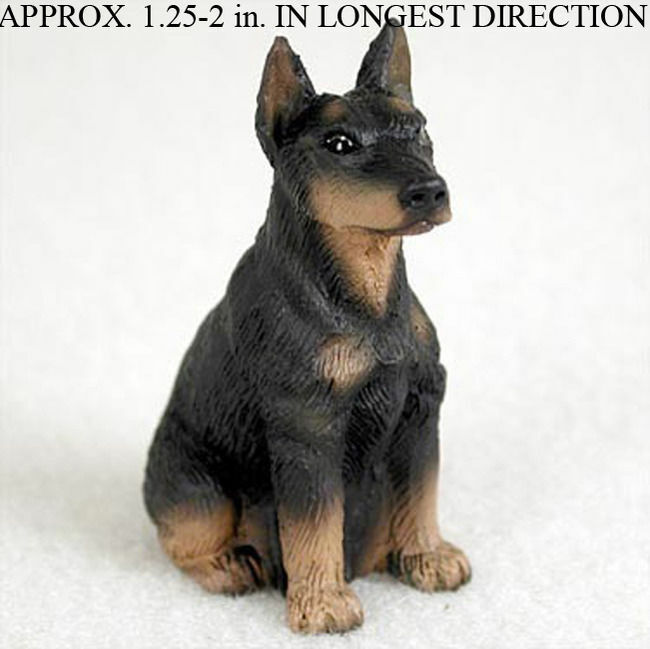 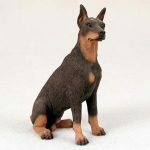 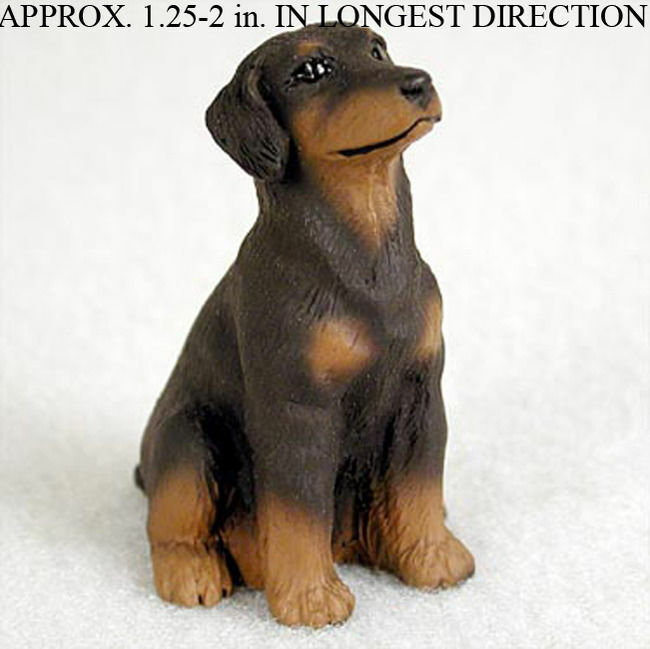 These adorable Doberman Pinscher ornaments are the perfect gift for any dog lover during the holidays. 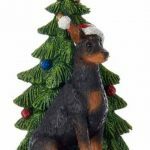 The dog sits on a red base that is able to be set on any table top or mantle – perfect if you don’t have a Christmas tree! Each ornament comes with a gold string, ready for hanging. 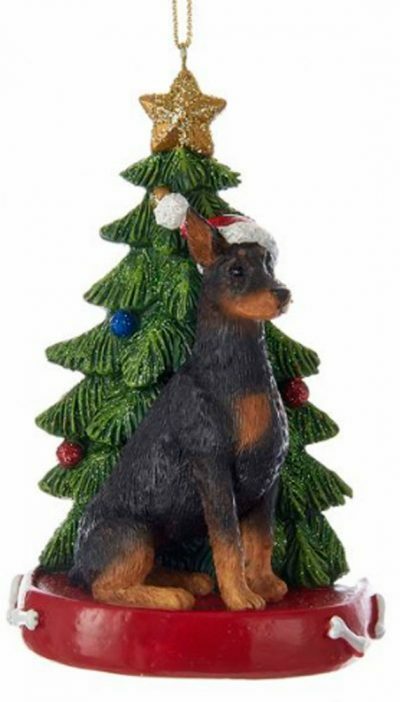 The dog is wearing a festive Santa hat in front of a Christmas tree. 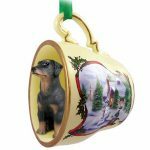 The tree, topped with a gold star, is decorated with sparkling glitter. Made of resin and measures 4.25 inches tall.